Approx. length: 22"L from shoulder to hem, 26"L down center back. 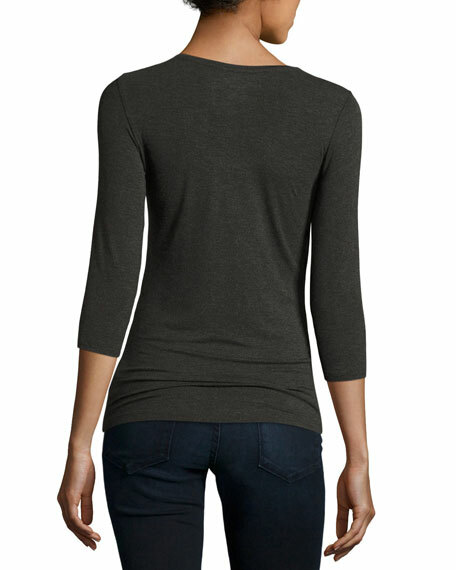 Eileen Fisher jersey linen tee. Scoop neckline. Three-quarter sleeves. Relaxed silhouette. High-low hem. Pullover style. Organic linen. Hand wash. Imported. 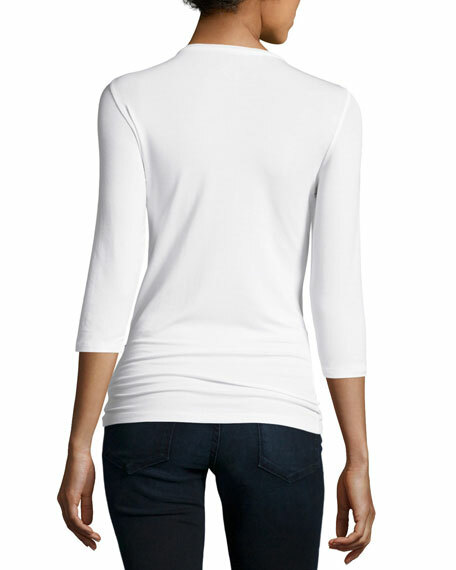 Eileen Fisher jersey linen tee. Scoop neckline. Three-quarter sleeves. Relaxed silhouette. High-low hem. Pullover style. Organic linen. Hand wash. Imported. Model's measurements: Height 5'10"/177cm, bust 33"/84cm, waist 25.6"/65.2cm, hips 35.8"/91cm, dress size US 2-4/FR 34-36. Eileen Fisher jersey tee in organic linen. Scoop neckline; pleating at back. Short sleeves. Relaxed fit. Straight hem. Pullover style. Eileen Fisher jersey tee in organic linen. Scoop neckline; pleating at back. Short sleeves. Relaxed fit. Straight hem. Pullover style. Organic linen. Hand wash. Imported. Model's measurements: Height 5'10"/177cm, bust 33"/84cm, waist 25.6"/65.2cm, hips 35.8"/91cm, dress size US 2-4/FR 34-36. 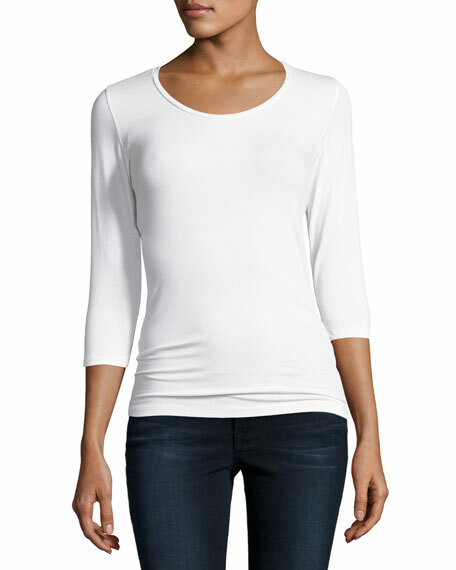 Eileen Fisher slub tunic tee. Scoop neckline. Long sleeves. Pullover style. Relaxed fit. Organic cotton. Machine wash. Imported. Model's measurements: Height 5'10"/177cm, bust 33"/84cm, waist 25.6"/65.2cm, hips 35.8"/91cm, dress size US 2-4/FR 34-36.